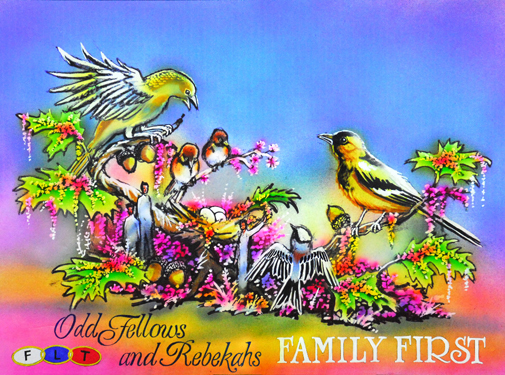 On January 1, 2010 the Oddfellows and Rebekahs Rose parade float Family First, received the Princess Trophy from the Tournament of Roses for the most beautiful entry under 35 feet. The theme of the parade was a Cut Above the Rest. 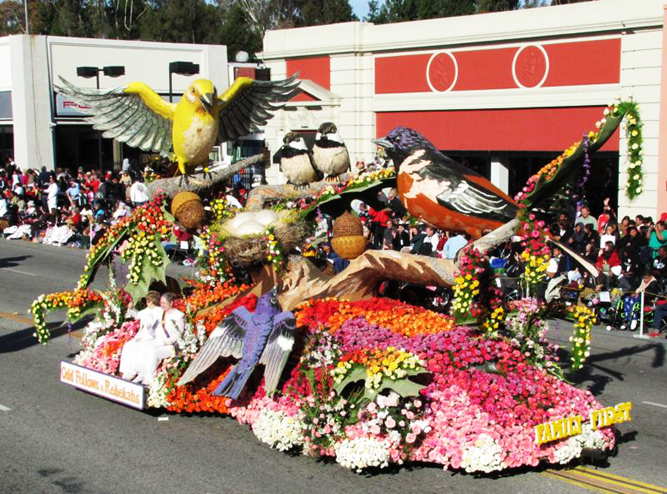 Our float depicts an outdoor scene with a group of birds overlooking and feeding their young.